So far we’ve covered quite an array of topics that seem to coincide with Gamma Waves and potentially endogenous DMT synthesis. We have “Aha!” moments, lucid dreaming, sleep paralysis, electrically induced lucid dreaming, “Out of Body Experiences”, REM Sleep, meditation, deep hypnosis (& subsequent anomalistic effects), “Past Life Recollection”, hypnagogia, “Near Death Experiences”, Deja Vu, “Psychic Mediumship”, & “The God Helmet” experiences. 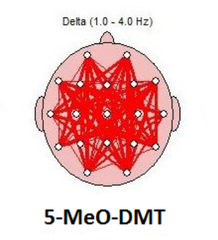 We’ve also included the EEG findings from Ayahuasca administration as well as DMT ingestion. Let’s continue down the bunny hole of analyzation of commonalities amongst the “supernormal”… “paranormal”… or whatever you’d like to label it as. Like we stated in Part 3, the creator of the original EEG machine was a man named Hanz Berger. He developed the device in order to quantify what he believed to be the ability of humans to communicate “telepathically”. He failed to succeed but as stated previously, we believe that it might coincide with the inability of analog EEG devices to measure brain waves above 25 Hz (Gamma). 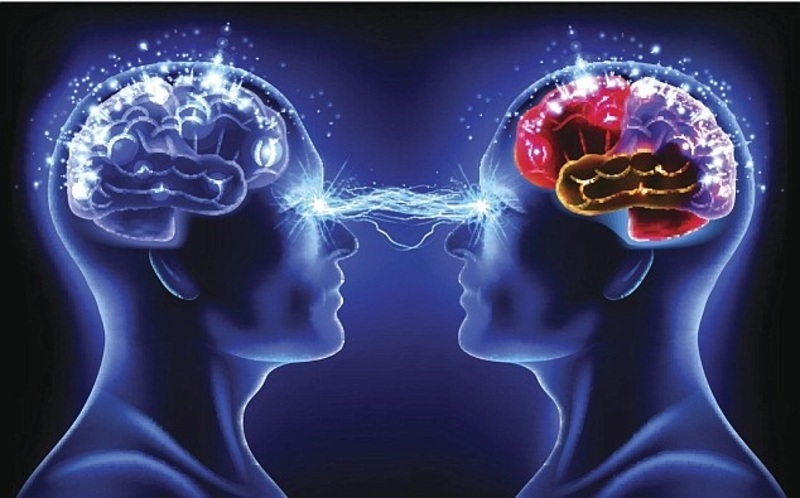 The controversial potential of “telepathic” communication is the fact that it might change what mainstream science “knows” about the origin of consciousness. The subject also causes us to ask deeper questions about what we understand about outside electromagnetic influences on the brain and behavior. About 8 months ago Q4LT attempted to project the biological parameters for optimal conditions for successful “telepathic” transfer. This would appear to be rather intriguing results based on two findings. The first one is that the right parahippocampal gyrus area was activated during successful “telepathy” in Mr. Senehi as well as “psychic mediumship” in Mr. Harribance. The second one is that the 2012 study showcased Mr. Harribance as having showcased an “upper beta” range during his psychic performance. 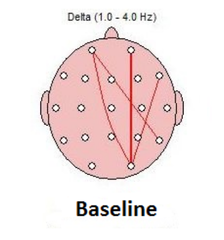 Being that we’ve outlined the initial limitations of analog EEG machines (limited to less than 25 Hz) compared to digital EEG machines (Part 1), as well as the propensity for different researchers to label waves between 25 and 35 Hz (interchanging Beta for Gamma & vice versa) based on personal preference, we believe that “upper beta” can easily be interchanged for “gamma” or “lower gamma”. Many researchers will label 25 Hz and above as simply “Gamma”. (We’ve seen this in the earlier study regarding electrically induced “lucid dreaming” as well as studies published in the Public Library of Science, Frontiers in Human Neuroscience, Conference Proceedings of the IEEE Engineering in Medicine and Biology Society, Cognitive Processing, Frontiers in Human Neuroscience, Frontiers in Integrative Neuroscience, and Neuron. There appears to be a lack of consistency in the labeling of the 25 to 35Hz range among EEG researchers. To add to the amusement of our society’s incessant need to label and compartmentalize everything, the consistencies amongst the HZ range for many of these “sub-labels” seem to… once again vary according to personal preference of the researcher. Digression is rearing itself once again… let us continue. While some of the concepts presented in the earlier parts of this series seem rather straight forward and palatable (“Aha!” moments, REM Sleep/Lucid Dreaming, meditation), some of the latter concepts such as “psychic mediumship”, growth stimulation from hypnosis, “past life recollection”, and “telepathy” would make the average skeptic squeal with contempt. I don’t blame them as much of what we are discussing isn’t exactly embraced by mainstream scientific circles. Much of the cited studies/concepts leads us to develop questions past our own biology/physiology and beliefs as to what humans are and are not capable of. 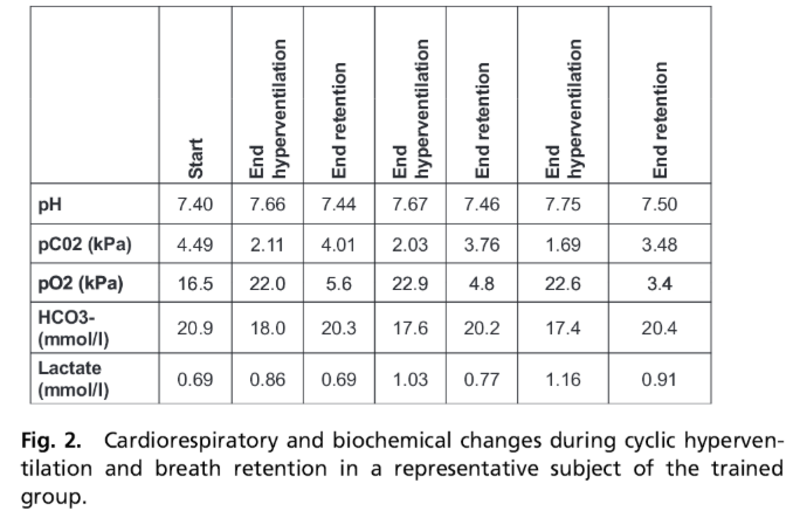 While much of the focus of this discussion has been in regards to the EEG state during many of these “supernormal” moments, there appears to be a likelihood of correlation (direct or indirect) as it pertains to the general respiration rate of the subjects. It’s generally well-known that much of the focus of many meditative practices has to do with a variation of rhythmic, breathing exercises. We’ve also outlined the biological parameters and benefits of sleep, breath rate, and the dream state in the piece titled “Sleep, Melatonin, & DMT” (Psychedelic Melatonin). A 2010 study in the journal Advances in Experimental Medicine and Biology quantifiably documents the increased breath rate during REM sleep. While the term “hyperventilation” generally seems to have negative connotations, deep rhythmic breathing such as that observed during REM sleep and meditation can appear to offer undeniable positive physiological benefits for both the brain and body. One practitioner who is utilizing deep, rhythmic breathing in an undeniably “supernormal” manner is 26 Guinness World Record Holder, Wim “The Iceman” Hof. He has shown extraordinary abilities when it comes to withstanding extreme cold climates. According to the “Iceman”, he utilizes the power of his mind via meditation and breathing techniques in order to “control his internal thermostat”. In 2009, Wim would climb Mount Kilimanjaro in Tanzania (19,340 feet above sea level) in just two days. In 2009, Wim would also complete a 26 mile marathon above the arctic circle in Finland, (temperatures averaging −4 °F) while dressed in nothing but shorts. He completed the marathon in 5 hours and 25 minutes. Not to be limited to cold challenges, in 2011 the “Iceman” would complete a 26 mile marathon in the Namibian Desert (104 °F) without drinking any water. While this would be considered very dangerous for most people due to the likelihood of one’s core body temperature overheating leading to hyperthermia and septic shock, Wim’s core temperature would remain the same throughout the marathon. Being that hyperventilation leads to respiratory alkalosis which coincides with suppressed carbon dioxide (CO2) levels which is labeled Hypocapnia (neurotic labeling rears its head once again), it brings us back to the Melatonin(C13H16N2O2) and DMT(C12H16N2) relationship. We’ve gone over this extensively in the pieces “DMT, Melatonin, & Miracles”, “Sleep, Melatonin, & DMT”, and “DMT Making 101”. While DMT is traditionally considered to be a “hallucinogenic” compound, if it is produced during the “Iceman’s” feats as well as those of his practitioners, it could lead to the recategorization of the compound altogether. Seeing something that is “not there” is one thing… being able to perform significantly measurable, “abnormal” & “supernormal” feats during the synthesis of a compound is something else altogether. Perhaps this is one of the ways “nature” intended DMT to be accessed? 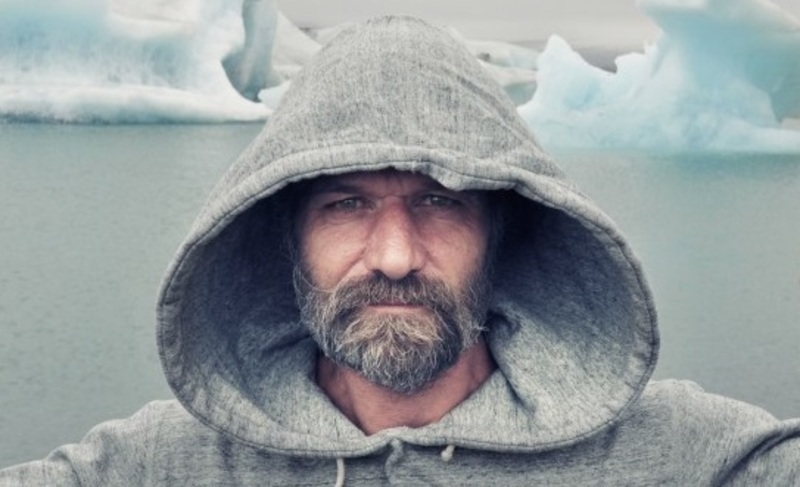 In 2012, the journal Psychosomatic Medicine published a study on Wim Hof’s physiological measurements from being fully immersed in ice for 80 minutes as well as his biological reaction to endotoxemia administration. The most interesting take away from the presented notes of the study was the fact that for 10-15 seconds the alpha waves would disappear to be replaced by “irregular beta frequencies associated with cognitive activity”. Based on all of the information that we have looked at thus far as it pertains to the huge Gamma Waves generated by long-time meditators, during REM sleep, and during hypnosis… it wouldn’t be surprising whatsoever to find out that the “irregular beta frequencies” were in fact waves in the 25 to 35Hz range (or greater) which could easily be characterized as Gamma waves. This is just speculation based on what we believe to be an “educated hypothesis”. It’d be likely that a more extensive EEG focused study would need to be designed for Wim Hof to showcase precisely what type of brain waves are being generated by him during his feats. While it’s no secret that the “Iceman” is a long-time practitioner of meditation and yoga, it’d be very surprising to see that he does not generate Gamma waves comparable to that of other long-time meditation practitioners. It seems as though the EEG data from the 2012 study was predominantly focused on observing potential encephalopathy (degeneration of brain function) due to E. Coli administration. The intriguing narrative that the “Iceman” consistently touts is that he is not the first person in the world to display these types of abilities… he states that he just so happens to bring these abilities to the scientific setting with open arms. It is our opinion that the studies regarding Wim Hof and the “Wim Hof Method” are one of the most significant of the recent, modern era as it showcases “supernormal” feats that can be replicated amongst the general public in 2016. While the current studies regarding “WHM” have focused on cold immersion and consciously influencing one’s own immune system, it’d appear that the internal physiological commonalities with much of the phenomena discussed in Parts 1, 2, 3, 4, and 5 lead us to believe that there is much more to be brought to light within the scientific setting. We believe that Wim is a pioneer in bridging the gap between what once was deemed as purely “esoteric” and bringing it into prominent scientific discussion. We must remain cognizant that science deciphers mechanisms… it doesn’t create, especially when it comes to human physiology. Since Mr. Hof is not the first to display specific, never before observed abilities in a scientific setting… it leads us to ask the question, what else is there? Could the observations outlined in the previous parts of this series be true? If so, how much deeper does the rabbit hole really go?